This article was written by Jess Christiansen and published in the Oct. 20 edition of the Hawley Herald. 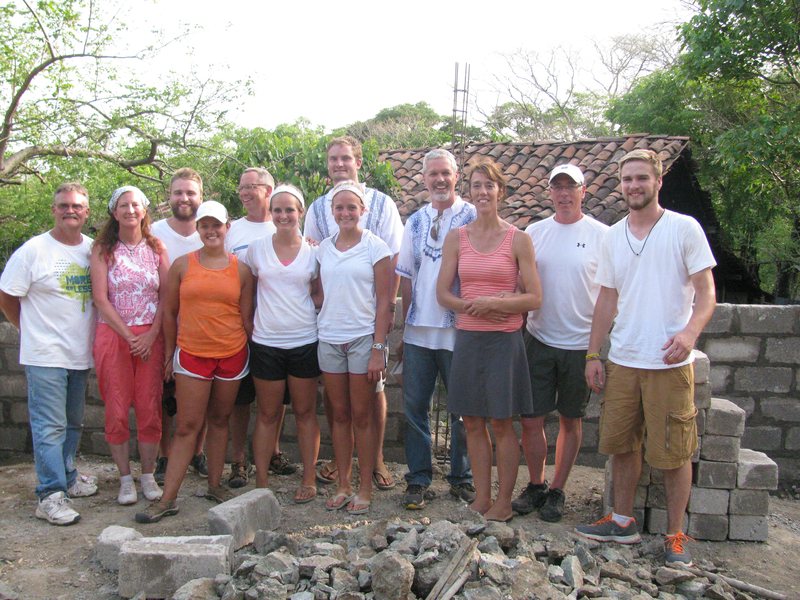 June 2014 brought a unique opportunity of mission and ministry to twelve members of Hawley Lutheran Church in Hawley, Minnesota as they embarked on a spirit enriching mission trip to Nicaragua June 14th-25th 2014. Hawley Lutheran members attending the trip were: Pastor Jeff & Kris Teeples; Nate & Mark Haugen; Jon Hinrichs; Dan, Jenny & Jessy Noreen; Jessica Laddusaw; Andrew & Aaron Regnier; & Cheryl Wicker. Nate Haugen served as a translator for the group. This is the first time Hawley Lutheran has sent a group to this part of the world. The group went as guests of the Lutheran Churches in Mission for Christ in Nicaragua (LCMC), and while there various congregations hosted the group by feeding and putting together the group’s schedule. The connection between Hawley Lutheran and the Lutheran Ministry in Nicaragua began almost two years ago. At that time Pastor Juan Benito and Pastor Nestor Baltodano visited Hawley Lutheran as representatives of the churches in Nicaragua. These pastors were in the US in search of churches that would consider partnering with Lutheran churches from Nicaragua to foster a relationship and cultivate an impactful cross cultural learning and mission support partnership. This trip is the first major step in creating this strong connection between Hawley and Nicaragua. While there the Hawley Lutheran group spent time in a community of about 400 people in the State of Chinandega, which is 10 miles from Somotillo near the Honduras border. A quarter of the communities’ population attends the Lutheran church in their community, half of which are children. The Hawley group worked on the beginning stages of construction for a church/community center for the residents who will benefit greatly from this new facility. Currently most of the churches meet in the home of a member or outside when the weather permits. When these church structures are built they not only become a worship center, but also a community center that will become a central hub of activity and gathering spaces in these communities. “A beautiful thing about the people we met is that it was more important for them to get to know us and for us to get to know them than it was for us to do things for them or give them money. We thought we were going to work with one church and realized that we had really come to enter into a relationship with every LCMC congregation in Nicaragua,” continued Teeples. 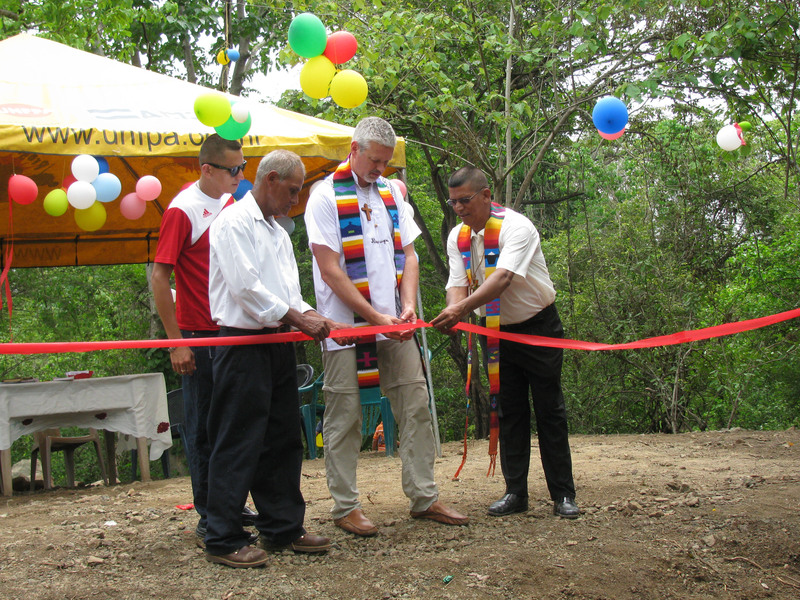 The Lutheran Churches in Nicaragua began after Lutheran Relief workers from Germany came to clean up after the devastation caused by Hurricane Mitch in 1998. Although the churches are distinctively Lutheran in their understanding of the scriptures none of the pastors have had any exposure to essential Lutheran confessional writings, so a need for some pastoral instruction was also something the pastors in Nicaragua identified as something they would like to experience. Pastor Jeff Teeples taught lessons on Luther’s Large Catechism to the pastors to share the finer points of theology for themselves and their congregations. “The teaching experience brought me closer to the pastors and helped me better understand the challenges they face in their congregations,” continued Teeples. 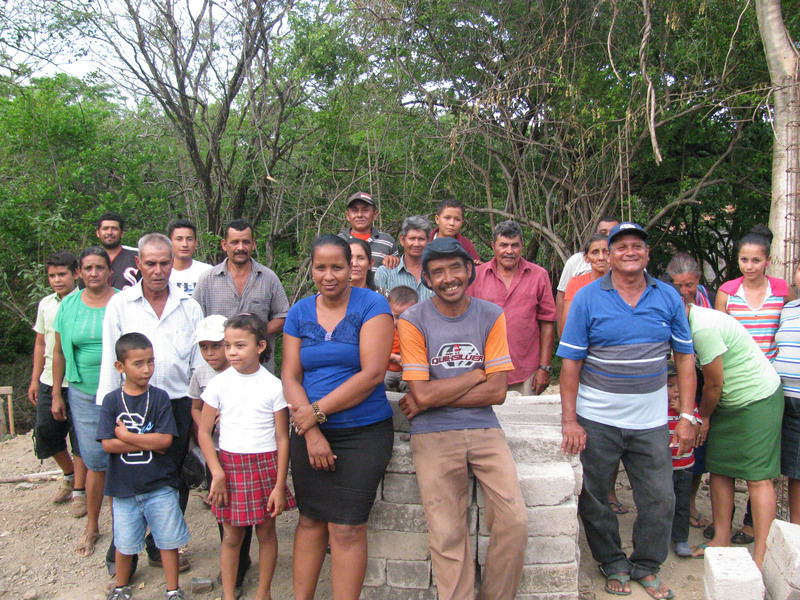 Teeples said on the last day in Ojoche where they stayed all the pastors and board members of the LCMC church in Nicaragua met with them to evaluate how the experience was for both groups. One evening Teeples said one of the pastors who is also the local woodworking artisan brought him a cross he had made as gift for Teeples. Teeples told the man via a translator how much he liked the item and offered to pay for it. The next day Teeples realized that the man had given him the cross on the one-year anniversary of his dad’s death. Teeples is excited to continue building the cross-cultural connection of Hawley Lutheran and the LCMC churches in Nicaragua and they are planning a follow up trip to Nicaragua in January 2015 and are currently accepting applications. He commented that the best way to experience life in another culture is to go there and dive in. “It was also extremely valuable to share our experience with our congregation so that those who are not able to go to Nicaragua can learn about the people and their lives and be affirmed for their ability to send others to go. When it comes to mission we are either “goers” or “senders” and it is a great blessing to be both,” continued Teeples. Nicaragua is the largest country in Central America with borders touching Honduras to the north and Costa Rica to the south. It is among the most impoverished countries in Central America. Since the Hawley Lutheran group has returned from Nicaragua, the country has experienced a severe drought. Because the people there live so close to the land, fluctuations in the price of essential food like rice, beans, and corn are devastating for them. There are no government assistance programs in Nicaragua; so the churches do what they can to help the people. If anyone would like to help this cause monetary donations can be brought to Hawley Lutheran Church where 100% of the funds raised for this effort will go directly to Drought Relief Nicaragua.